Happy Tuesday everyone! I hope this finds you having a wonderful week. For this Team Tuesday project I wanted to play with layering a few different stencils. 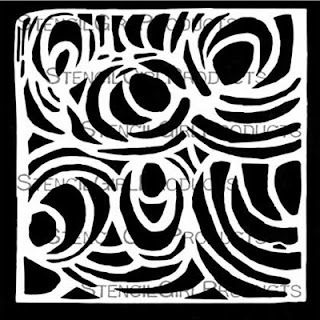 For this page I used the following stencils: Ripples designed by Suzi Dennis, Tossed Blossoms Stencil designed by Terri Stegmiller, and Hawk of the Mountain designed by Roxanne Evans Stout. 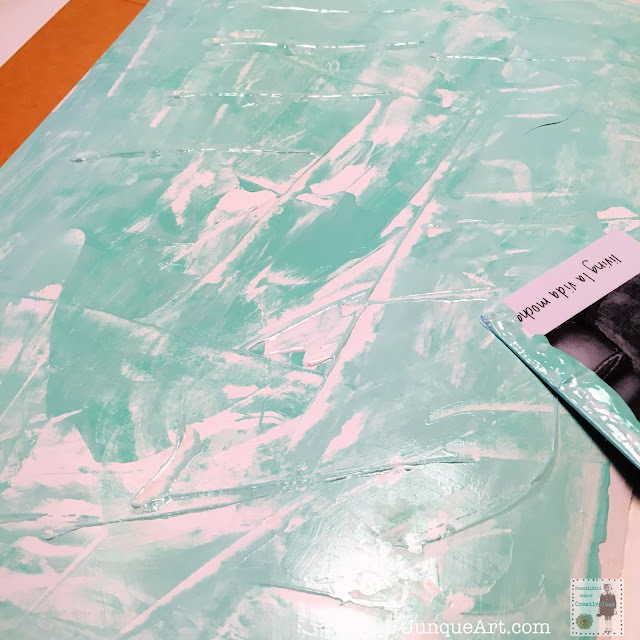 I started by layering scraping blue and white paint over my page. I used the Ripples stencil to stencil a flower look along the bottom of the page. 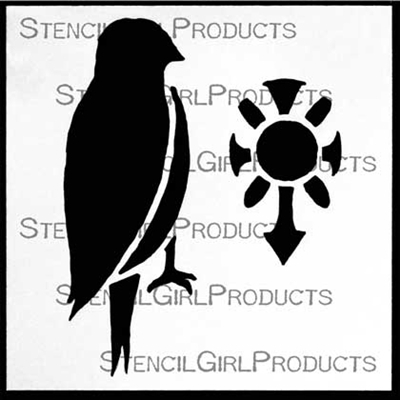 Then I used the Hawk of the Mountain stencil to stencil a bird perched on top of the flower like stencil. 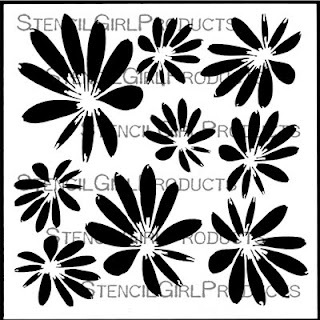 To add to the flower look I used the Tossed Blossoms stencil. To add texture and interest I added drips of acrylic ink from the top of the page. I spritzed with water to make them run. 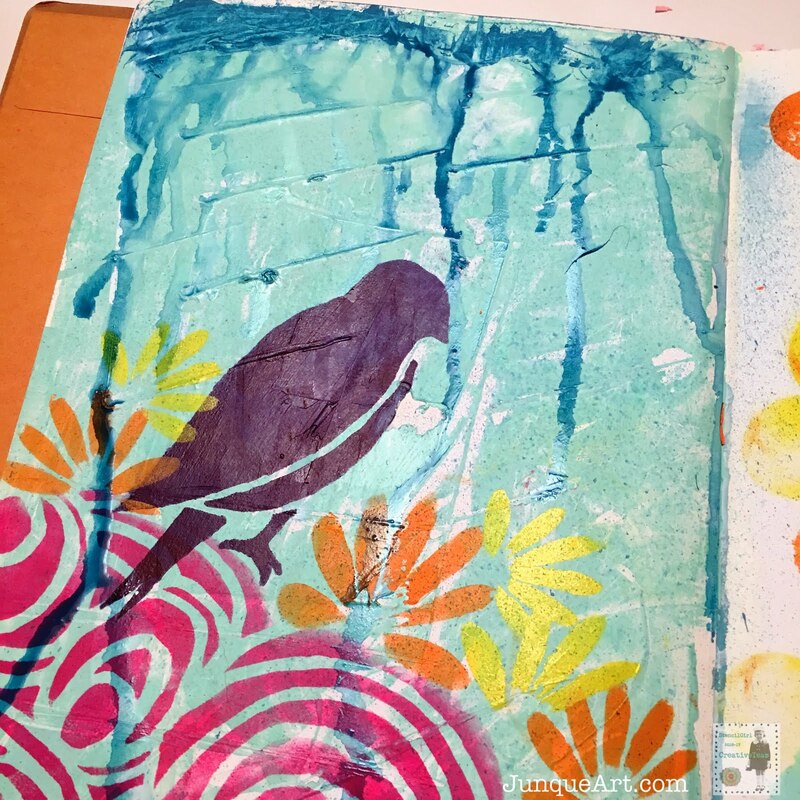 I love the drippy look! I added details with white gel pen, black pencil. 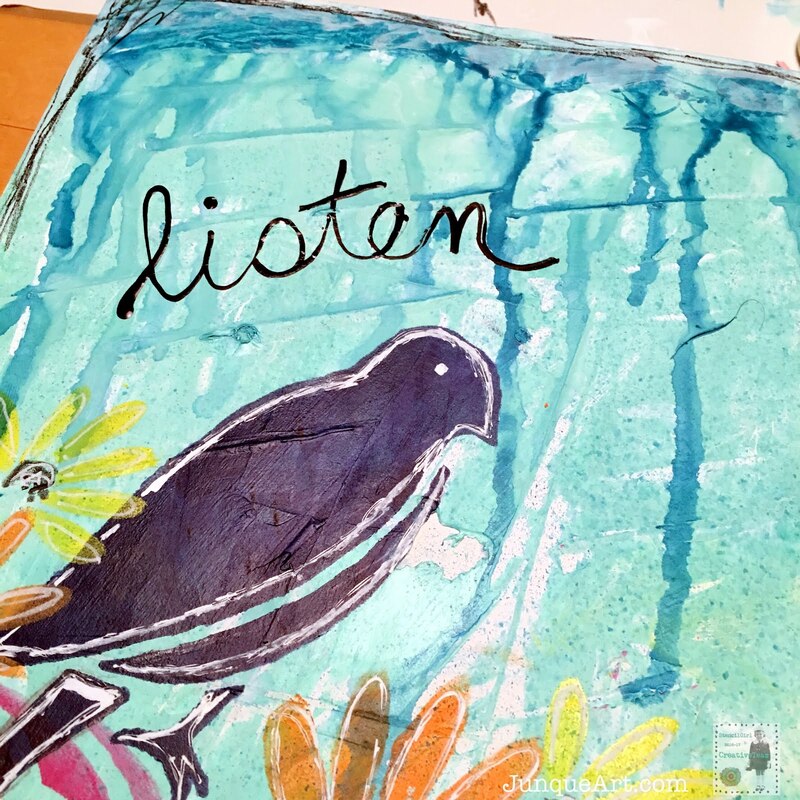 I then added the word Listen with acrylic ink. 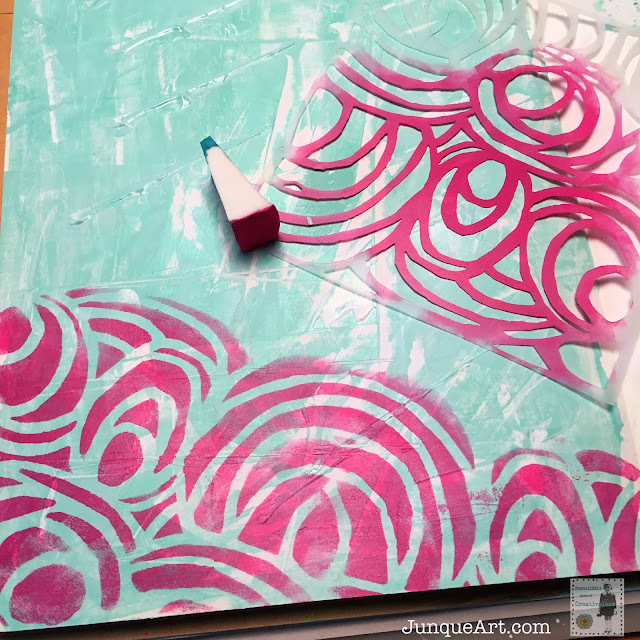 I love combining different stencils and I love how this simple page turned out. So get out your stencil and combine at least 3 different ones to see what you can create. 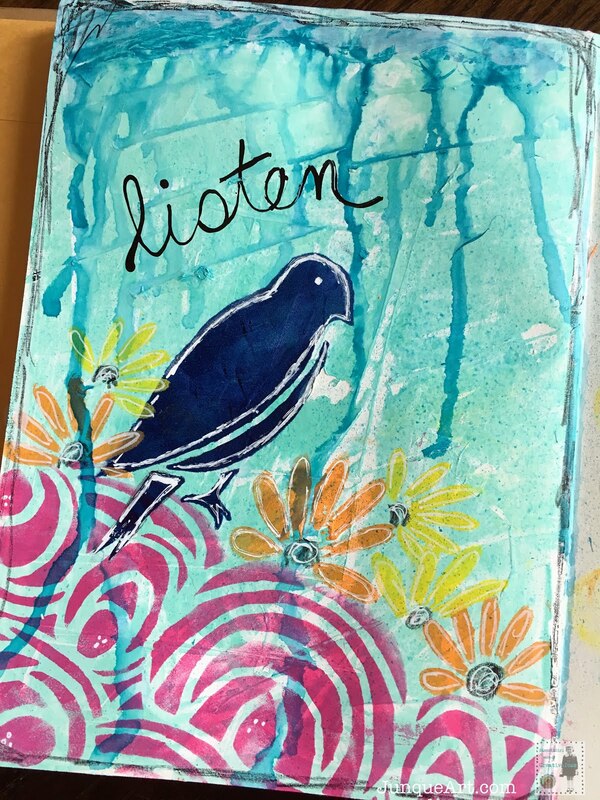 Your art journal is a great place to play with different combinations. 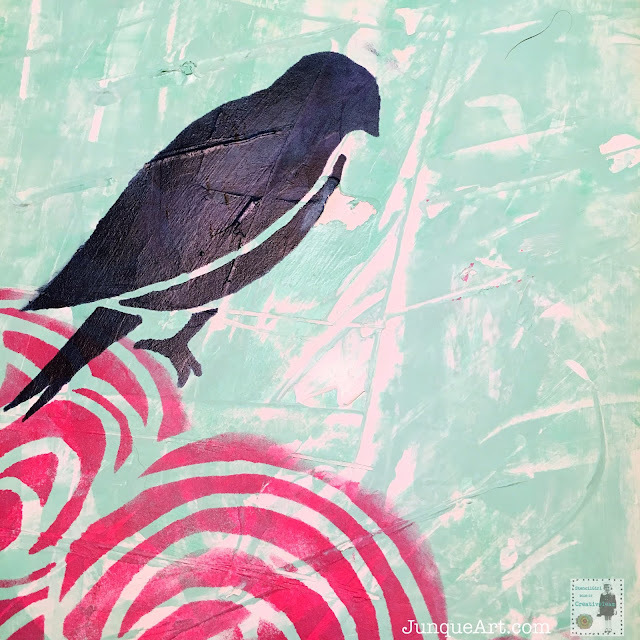 Beautiful work Cindy! You combine stencils well! Love it! 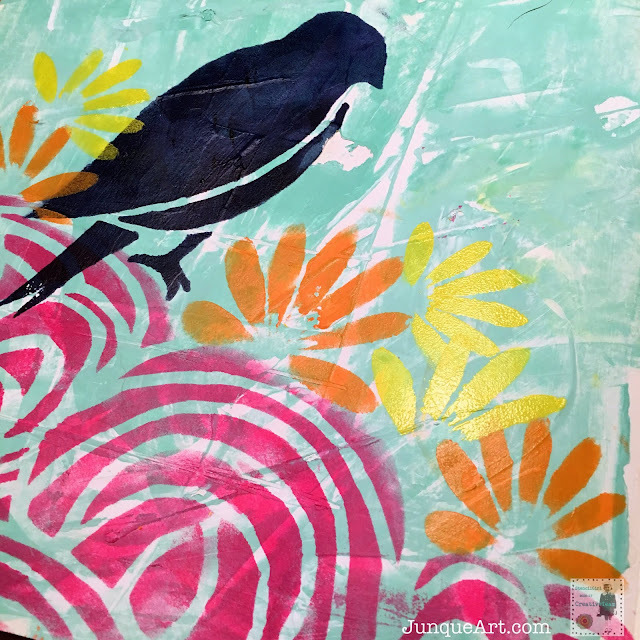 I'm a big bird and flower fan, so this is right up my alley! Keep 'em coming!! !